I wish to thank you for your interest in our products. Our mezzanines are made up of telescopic structural elements; meaning you can easily change width, lenght and height. 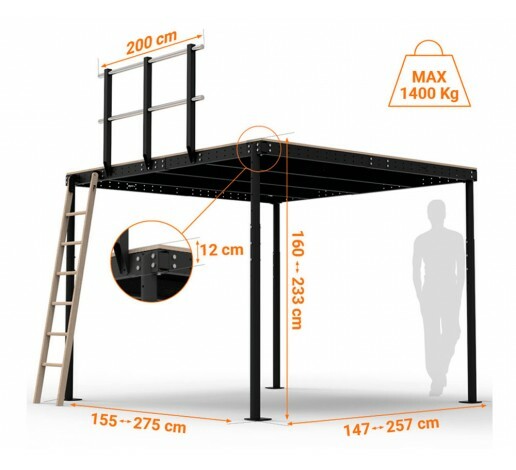 In this specific case you may set the mezzanine as small as 155 x 147 cm (5'1'' x 4'10'') and as wide as 275 x 257 cm (9' x 8'5''). 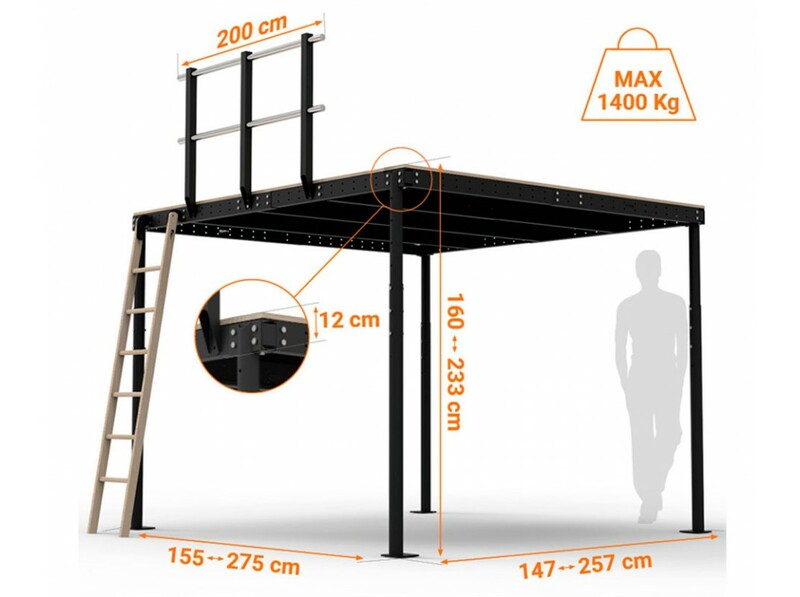 Everythinng is included to set it up at the desired size. Yes, we do ship to Canada. If you wish more specific information about shipping costs, you may send an email to gabriele@tecrostar.com providing full shipping address.